I want to confirm my non-standard transaction(s) in BTC/BCC network. To do it I have to find mining node with modified software. 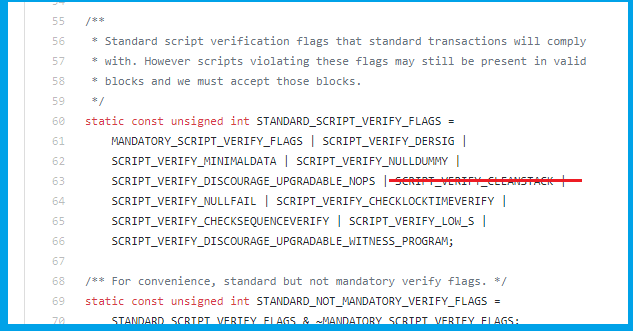 Is there pool admin who can switch off SCRIPT_VERIFY_CLEANSTACK flag on his node? If you are interested in it I can publish the spending transaction. Looks like the BCC has been claimed. As for the BTC, you are not asking a question about the protocol or the software, you are looking for a person controlling mining equipment, and that question is better suited to https://bitcointalk.org than to this site. Given an altcoin, how to find its mining pools?